Bonnie Trachtenberg is the multi-award-winning, bestselling author of the romantic comedies Wedlocked and Neurotically Yours. Bonnie graduated from New York University with a major in Film and Television Production, and promptly found a job on a B movie you never heard of. Four days later she retired from her film career after working the craft service truck and throwing her back out while attempting to lift a man-sized coffee urn. Five years later, Bonnie was laid off along with five hundred of her colleagues after a corporate takeover. She did not despair, but instead took it as a sign from the heavens that it was time to finally finish her freaking book already. She did. Her debut novel, Wedlocked, was released June, 2011. Her second, Neurotically Yours, was released April, 2012. Bonnie lives in New York with her husband and a house full of adorable animals. "Wedlocked" begins at the wedding of 36 year old Rebekkah Ross who recently returned to her NY home after following her dream to Hollywood and into the arms of casting director Evan Shayes. As the unfortunate and unforgettable events of her "wedding of the century" unfold (revealing a variety of unsavory details about her new husband), Beck ponders heavily on what could have been. Her memories take the reader back to the moment when she knew what she wanted out of life and up to the point of realizing true happiness. Rebekkah's antics vary from the hysterical to the uncomfortable, especially when her mistakes remind the readers of the similarities in their own personal choices. This realistic work of fiction hits home on many levels but also allows the reader to dream along with the main character. I actually found the main character annoying and often self-centered to the point of being immature; but these character elements serve as a solid basis of true human nature. It is difficult to imagine the reality of her farcical life, yet it is also impossible not to believe. Rebekkah does not allow room for the doubt of "what if" in her life. She covers all of the bases by making as many mistakes as possible on her journey to true love. The fact that her mother is a former Roman Catholic working diligently to be the perfect Jewish mother adds an additional element of humor to an already ridiculous roller coaster ride of events. 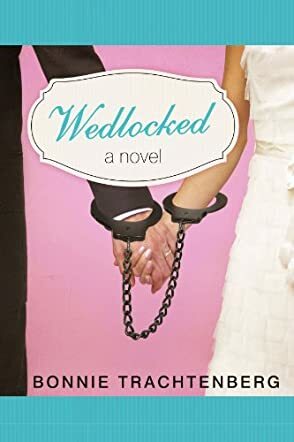 I enjoyed "Wedlocked" and can readily imagine this becoming part of mainstream fiction shelf.